The boys race in the GAC Central looks to be close, both individually and for the team title. Timberland, in their first year in the Central after previously being in the South, is the projected winner for the team title with Ft Zumwalt North just 11 points back. Timberland and Zumwalt North will also have their top runners squaring off for the individual title. North's Cole Sutton currently has the fastest time with a 16:57, and Timberland's Drew Schulte is right behind him with a 17:07. The Girls race is going to be even closer. Defending Champion Washington is the projected winner with 54 points, closely followed by Liberty (Wentzville) with 58, and Timberland with 59. With it being so tight, its likely going to come down to some sprints at the finish. 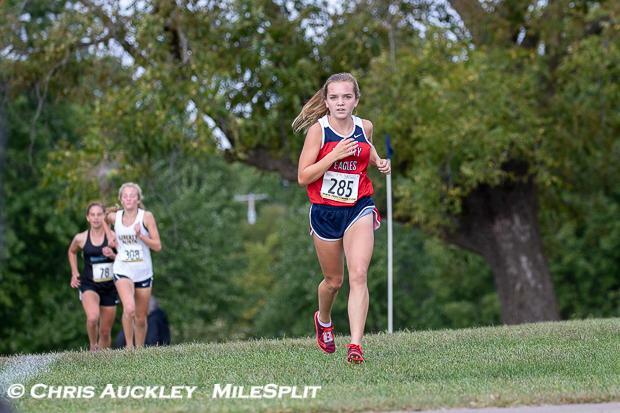 Individually Liberty's super freshman Ally Kruger should win with relative ease as her 19:15 is the fastest in the conference this season by 31 seconds.